Geography: South East, East Sussex. Most of Wealden council area. Main population centres: Crowborough, Uckfield, Hailsham. Profile: A rural seat, mostly situated within the High Weald area of Outstanding Natural Beauty and including the Ashdown Forest. The population is divided between the three main towns and many small villages and hamlets. Agriculture and tourism are important locally, but a large population of the affluent population commute to work outside the area. Politics: A safe Conservative seat, represented by the Conservatives since its creation in 1983. NUSRAT GHANI (Conservative) Educated at Bordesley Green Girls School and University of Central England. Former strategic communications director. Contested Birmingham Ladywood 2010. First elected as MP for Wealden in 2015. NUSRAT GHANI (Conservative) Educated at Bordesley Green Girls School and University of Central England. Strategic communications director. Contested Birmingham Ladywood 2010. GILES GOODALL (Liberal Democrat) Born West Sussex. Educated at Royal Holloway. Contested South East region 2014 European election. PETER GRIFFITHS (UKIP) Born East Sussex. Shopkeeper and former pilot. The Greens held both seats in Forest Row on the District Council Wealden in 2007 – but didn’t even contest the ward in 2011 – allowing 2 unopposed Con gains. Does anyone know why they didn’t even stand again? I haven’t yet located why by looking on line. With regards to the County Council – East Sussex – the Conservatives held Forest Row in 2009 against a strong Green Challenge. But there are other odd occurrences. The Lib Dems had a massive lead in 2009 in Uckfield, with no Tory candidate. Was this some mess up with nomination papers? (Similarly, the Lib Dems I think had an uncontested victory in a District seat in Crowburgh in 2007 but didn’t even contest it in 2011). Looking at the prospects for East Sussex County Council, I suspect the Tories should be ok, because Labour had already done relatively well in 2009 in Hastings – a rare success for them that year, and the LDs in Lewes. I beieve the Green absence in Forest Row in 2011 was due to an error with their nomination papers. That is quite extraordinary – thanks. It seems Labour and the Lib Dems leave them alone there, hence the ward was uncontested. But this wasn’t some non target ward fought by one of the larger parties – it was an important seat for them where they had particular success,. It seems incredible that a mistake like that could have happened – particularly if it was the existing councillors, which perhaps it now was. I would have thought Uckfield in 2009 must have been a Tory nomination papers failure. I haven’t yet looked at whether the Greens are contesting Forest Row this time, on the County Council. I asked someone (actually a Labour member from a nearby seat) whether she knew about what happened in Forest Row in 2011 district, and isn’t sure but thinks it might have been nomination papers. I agree with you that the Tories will hold East Sussex, because their main opposition is the Lib Dems who will poll equally as badly. Labour has no potential outside of Hastings. I think the council leader is still Peter Jones, husband of Jacqui Lait. I think his ward is in Hastings & Rye but should be safe as it is at the Rye end. It’s not the overwhelming stronghold of W Sussex. but of course something may be happening under the radar. 1997 GE results are wrong above – they total only 94%, not sure where the othere 6 % of the Tory drop went. Probably they missed out the referendum party. They must have polled quite well in this kind of seat. I have an interesting question that I would like to ask. 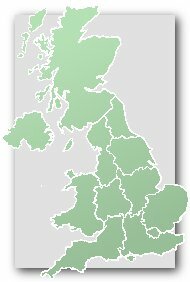 Does anyone think that in many safe Tory seats at the next general election (Many of which have the Lib Dems in second place) that the Conservatives will be down by less than the Lib Dems, and so there will perhaps be increased majorities in these seats as a direct result, a la 1992? Yes since that is what most polls are indicating. There have been a few recently where the drop in Con and LD support has been able the same: for example one today has them both down by about 13 percentage points. What was the reason given for Charles Hendry retiring? He’s 53, although I realise he has looked older than that for years and Cameron apparently thought his replacement was younger. I’ve heard rumours from journalists, but nothing concrete. I really don’t understand why people feel like that. The Tories don’t seem to me to be all that different from what they were under John Major. Sure, Major isn’t a public schoolboy like Cameron, and has publicly voiced a policy which is in opposition to that of the government recently, but his politics aren’t exactly a million miles away from those of Cameron, although Cameron is more Eurosceptic than Major. Some of the privatisations which have been so bitterly opposed by the left occurred under Major & there were plenty of very right-wing Tory MPs around when he was PM, some of whom have since been replaced by less right-wing figures. It seems really weird to me as someone on the left when Tories who are, after all, led by someone who beat the main right-wing contender for the leadership think that the era of Thatcher was actually more to their taste as “wets” than what we have now. Thatcher openly derided the “wets” whereas today Cameron makes it pretty clear that he doesn’t have much respect for the likes of Bone & Nadine Dorries, although he tends to smile & attempt to employ humour rather than seriously denounce them. The ultra-right are certainly present in the parliamentary Conservative Party, but they are sniping from the sidelines, occasionally enjoying policy successes, rather than being in the centre of things. Thatrchewr was in a way constrained by her Parliamentary Party. The only people to win general election majorities for the Tories since 1960 have been people from ordinary backgrounds: Edward Heath, Margaret Thatcher and John Major. As soon as Cameron was chosen as leader in 2005 I thought he wouldn’t win a majority because of his background. Cameron has been unlucky in that his leadership has coincided with the country moving into an era of economic hardship. Had the 2008 crisis not happened then I’m pretty sure he would have won a majority in 2010 and he could have governed as a kind of Tory Blair without his background being much of an issue. I think it’s worth mentioning that a large number of people who voted Tory in the 1980s did so through gritted teeth, many of them intensely disliking Margaret Thatcher but voting for her as she was seen as the least worst alternative. Labour was simply seen as incapable of governing, even by many natural supporters. My own parents are old Labour union types, yet both definitely voted Tory in 1979 and perhaps in 1983 as well. They wouldn’t do so in a million years today. The winter of discontent cast a very long shadow for people like my parents, and sorry to keep repeating this but so did the cold war and Labour’s unilateral nuclear disarmarment policy. Without the dreadful state of the Labour party from 1979 to 1989 and without the Falklands coinciding with the escalation of the cold war in the early 80s, Thatcher would never have dominated elections in the 80s as she did. Cameron is not able to benefit from any of these advantages. Moreover Cameron has to contend with an ethnic minority population that it perhaps 5 or 10 times the size it was 30 years ago, 80% of whom will never vote Tory no matter what he says or does or who leads the party. We are in one of those transition phases between political eras, a bit like the gap between the break up of post-war consensus around 1973 and the election of Thatcherism in 1979. We are yet to determine what kind of political ideology will dominate the decades of austerity following 2008. I think another disadvantage which Cameron has is that his party appears rather disunited and difficult to lead. I know there were rebellions during Labour’s time in power but to-day they seem more united in opposition or at least we don’t hear about internal differences. Wealden Conservative candidate open primary on Thursday 5th December at 7pm at the East Sussex National Golf Club Hotel. That is an interesting selection. She contested Birmingham Ladywood in 2010 coming third. Given how this is a safe Tory seat, it’s highly likely that the party will gain another Asian female MP. Incidentally, Priti Patel is an MP in Essex herself. Quite an achievement to be selected here I think, even in 2013. ^^Oops, sorry, COMPLETELY misread that. Obviously this is in SUSSEX not Essex. This seat isn’t just safe, it’s the safest Tory seat in E Sussex. The Tories dodged a bullet with Tony Caldeira. In fact I’m amazed he got through their selection procedures to a shortlist. All I’ll say is a colleague found his claims to be false when he stood in Lpool. A quick google search showed his business made a loss of over £2m. He even claimed to have increased the Tory vote by 50% even though he had never stood before. He’s apparently a friend of George Osborne so that may explain how he made the list. Ukip’s candidate for 2015 is a local Conservative association ex-chairman (until 2005… joined Ukip in 2011). I still don’t know why the Greens seem to have given up on Forest Row. Just found out that Charles Hendry is retiring. Even though I’m a Labour supporter, I have always liked Hendry as he always comes across as polite and a true gentleman even when debating with his Labour MP’s. Wish there were more MP’s like him. Popped into Uckfield this morning, loads of Tory posters up and nothing at all from other parties. This is the only place I’ve been this election where the Tories are dominating the poster count. In both Mid Sussex and Wealden, UKIP are focusing on big billboards outside farms along the main roads. You wouldn’t know there is an election here in north Hailsham ,no posters by anyone, nobody from any party ever comes here, I have lived here for over 30 years and never spoken to anyone from any party . A few comments up the page have mentioned Forest Row ward. Amusingly this year the Greens labelled their candidates “Green Party Lead Candidate” and “Green party Second Choice Candidate”.